I have been wanting to try making butternut squash soup for awhile now and thought I would wait until the crisp fall air to make a huge batch of it. Well, the weather is still hot around here, but the leaves are kind of starting to turn colors so I decided that was good enough. I’m so happy I didn’t wait. This soup was divine. It was creamy and rich and wonderful. I don’t have enough words. You should give it a try…even if it’s still hot outside. If you’re looking for other soup ideas check out ham and potato soup or turkey pumpkin chili, they are some of my other favorites. Line a baking sheet with aluminum foil. Place the squash pieces cut-side up on the baking sheet. Brush 1 tablespoon of the olive oil all over the tops and insides of the squash halves. Season generously with salt and pepper. Roast until tender, about 60 minutes. Meanwhile, peel, core, and dice the apple and dice the onion. Heat the remaining tablespoon of olive oil in a large stock pot over medium heat. Add the apple, onion, and sage, season with salt and pepper, and cook, stirring occasionally, until softened, about 7 minutes. Remove the pan from the heat and set aside. When the squash is ready, cool on a wire rack until the squash is cool enough to handle. Scoop the flesh of the squash into the saucepan with the sautéed apples and onions. Add the broth, water, and measured salt and pepper, stir to combine, and bring to a boil over medium-high heat. Reduce the heat to medium low and simmer, stirring occasionally and breaking up any large pieces of squash for about 15 minutes. Remove the pan from the heat and stir in the cream. Using a blender, purée the soup in batches until smooth. Taste and season with salt and pepper as needed. Serve garnished with the pumpkin seeds, if using. 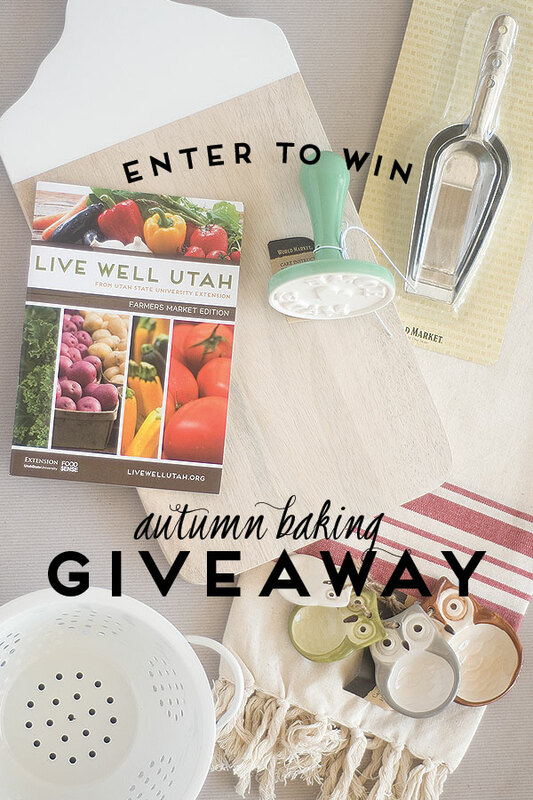 We’ve joined some other great bloggers to bring you a great Autumn recipe blog hop. 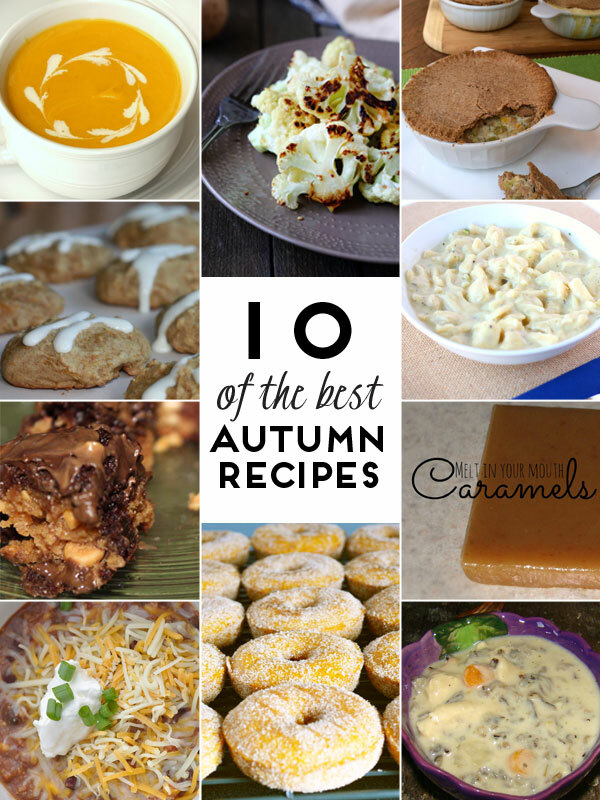 I know you will enjoy all of these fabulous recipes.